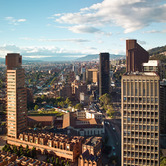 Scott Figler lives and works in Bogota, Colombia where he heads up the research division for Jones Lang LaSalle’s North Latin America operation. 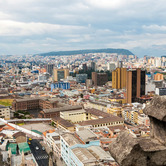 He covers commercial real estate markets in cities throughout Peru, Ecuador, Colombia and Venezuela, as well as Central America and the Caribbean. Scott spends his time making maps, traveling, hiking, playing music, and rebutting commonly-held misconceptions about urban life in Latin America. He can be contacted through LinkedIn. His market reports can be found here.